Flow blue porcelain is called flow blue because that’s what happened to it in the kiln–the glaze “flowed” and muddled the design. 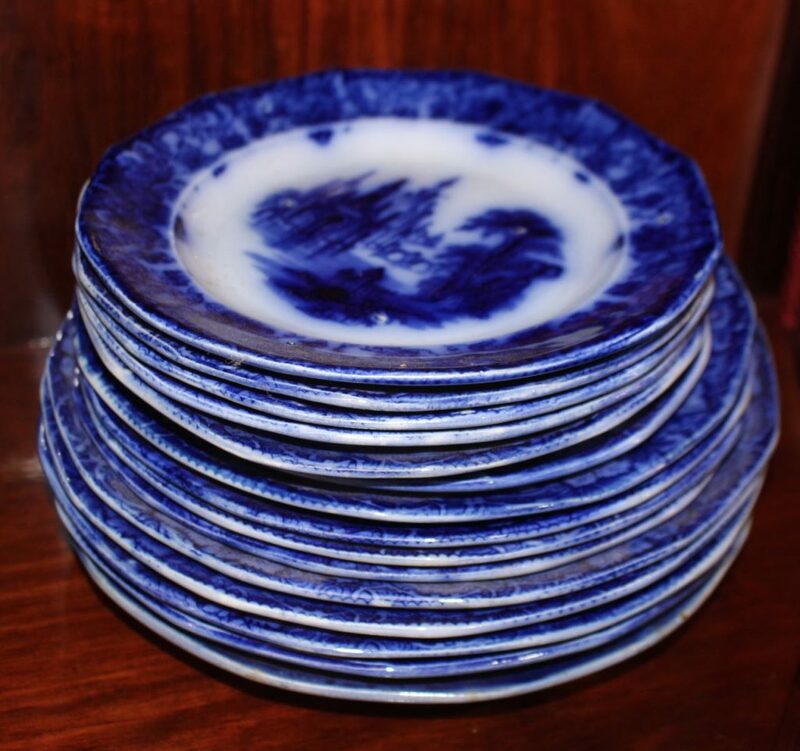 So flow blue china was a manufacturing mistake that became heavily sought after. These plates are priced at $20 for the smaller size and $28 for the larger size.